Dee started preschool yesterday and was so excited to go to her first day. We owed this excitement to one new item that we added to our household last Saturday – Dee’s Zebra Skip Hop Lunchbox. It’s no secret we’ve been missing in action on the website lately – what with the wedding and the move directly after so I wasn’t able to tell you all about how obsessed Dee has become with zoo animals. In particular the zebra, giraffe, and “lion king”. We went to the Oregon Zoo multiple times in the weeks before our move, as a good bye to my working grounds, as well as to satiate our toddlers constant need to have “mom, dad, dee, zoo” (translation, “mom and dad I want to go to the zoo”). 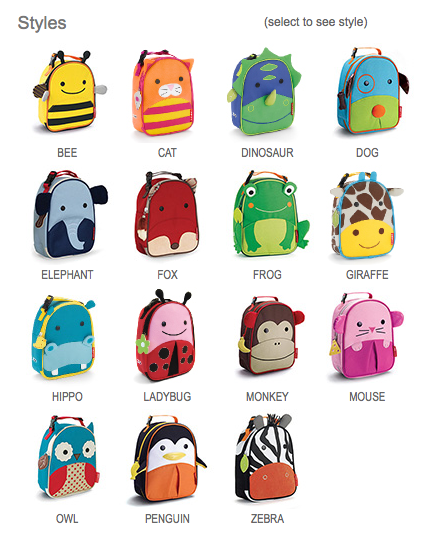 So as soon as I learned that she was goign to need a lunch box for her new preschool we immediately started looking for cute animal lunchboxes and stumbled across the Skip Hop Zoo Line. She originally wanted the giraffe but they were sold out. But the zebra has made her so happy and has helped to keep her pumped up for school. In fact, she was so excited for school and using her zebra lunchbox that she carried it all the way to the car, then into the schoo,l and then jigged her way to the front desk to show it off. She keeps asking to pack the zebra lunchbox and go to school! I’ll let you know if he keeps her this pumped up for school as the “honeymoon” period comes to a close.